A wonderful Out of Print western fabric that we have rescued from our out of print fabrics trunk. 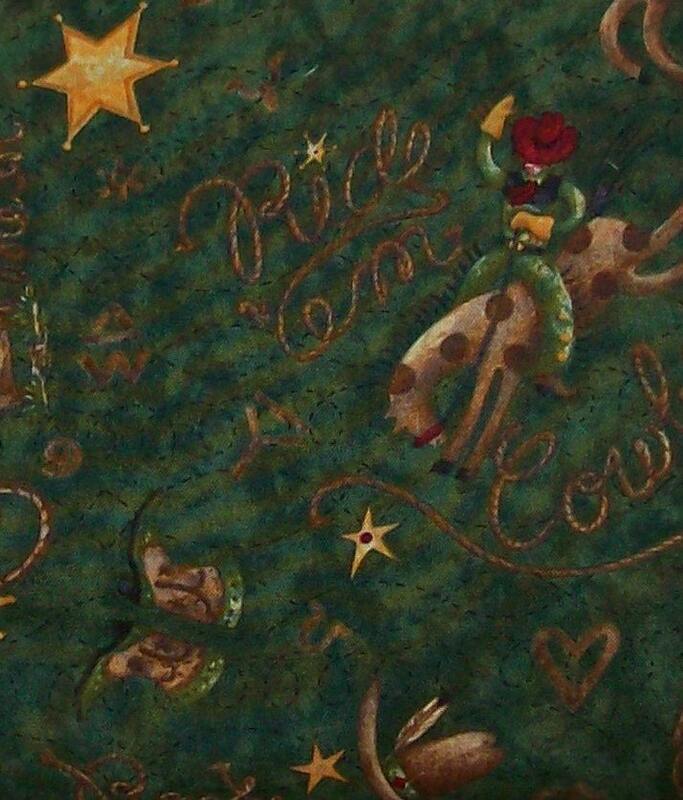 A rich sage backgroun with cowboys riding their bronvs. 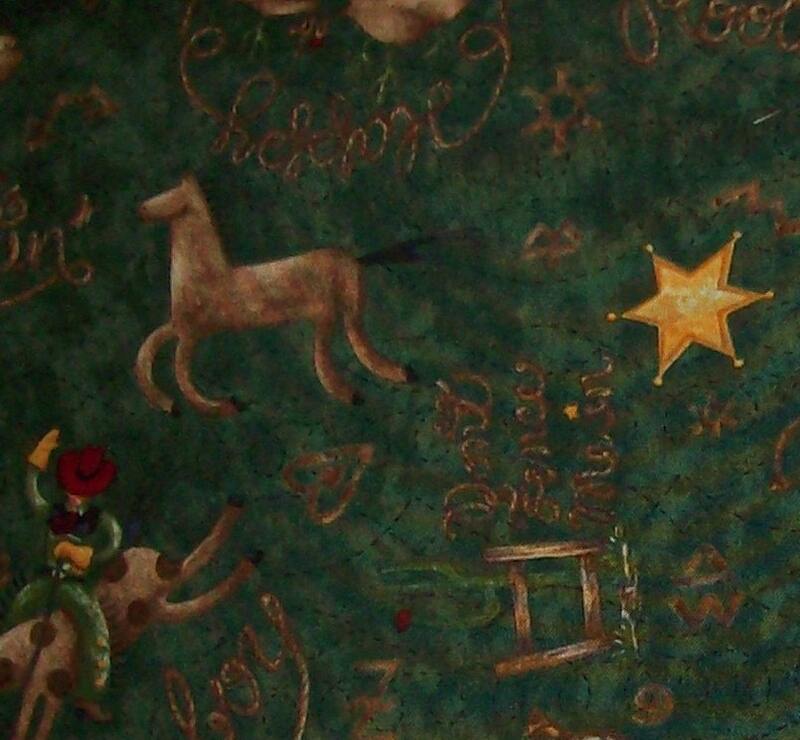 Rich colors of gold highlighting stars, and shades of brown and cream depicting horses, rope, cowboy boots and cowboy hats. 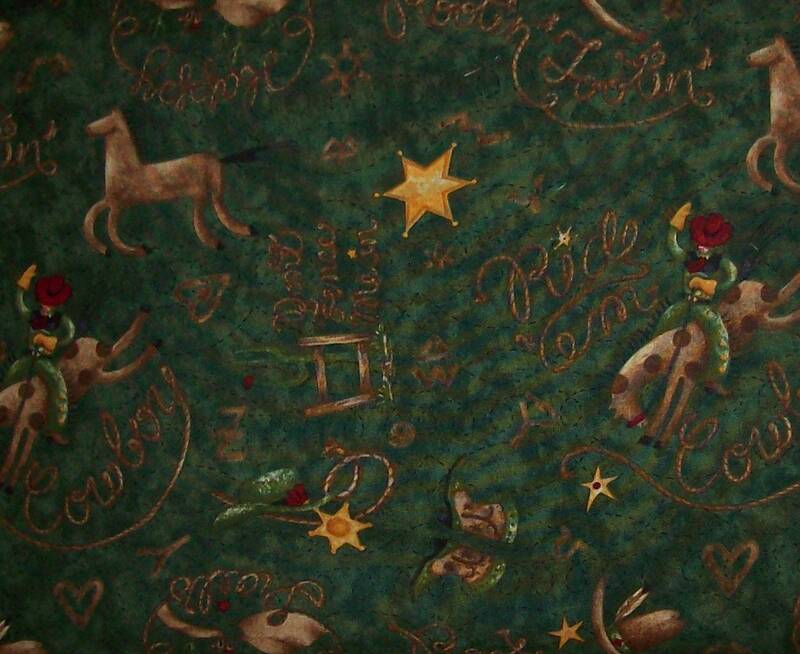 A wonderful western print. Buy it today, when it is gone, it is gone!